It's full of detailed information and seems like quite a different way of approaching garment sewing, but a really intriguing one. There are a few of these projects I'd like to try: while reading this, I felt inspired but haven't tried the process yet. I need a bit more time to work on creating a block according to her instructions so that I can try out a few of the designs. This is the kind of book I'd like to have for my own so that I could refer back to it often. I'm sure that only by making quite a few things could you feel that you were beginning to get this method down. I found it to be very complete, laid out well, and with lots of fabulous illustrations to guide the reader. Of course I haven't actually tried any of the projects yet, but when I do, I will report back. It's a colourful, modern, and inspiring book though, with good production values and a range of styles shown. And of course, since it's all done according to one's personal measurements, there are no size restrictions here. I was impressed by it. I love the Great British Sewing Bee. But I can only watch if somebody puts it up (illegally I imagine) on the internet. It is such a shame there is not international opportunity to watch such an inspiring and entertaining show. However, to this book. I have heard about this author. Once again, a cutural difference in sewing. I think it sounds a great book and (once again) have put a hold on it at my local library. Where would we be without our libraries? 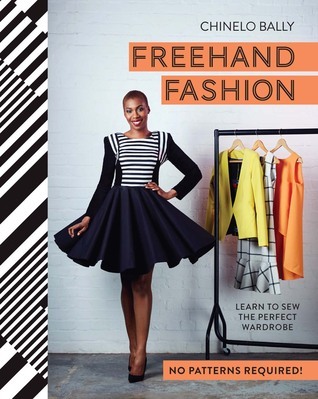 There really is a groundswell of interest in non professional sewing people making their own patterns - it is a bit like the secrets those great pattern companies used to have a hold on are being released, and it just doesn't appear to be that difficult. Getting traditional patterns to fit without alterations doesn't happen that often, so maybe it is easier to have some control and make our own from scratch? A bit scary still to think it can be done, but I think this book sounds inspiring. I am looking forward to reading it. I agree, the interest is self-drafting is just growing and growing. This book was fascinating and I hope I can figure out the process before I have to return it to the library! Glad you were able to find a copy to borrow as well. I do love the Sewing Bee, and I'm in the same boat. I wish they'd make it available somehow to those of us outside the UK who are also very interested!